Posted in: Event News, Uncategorized. 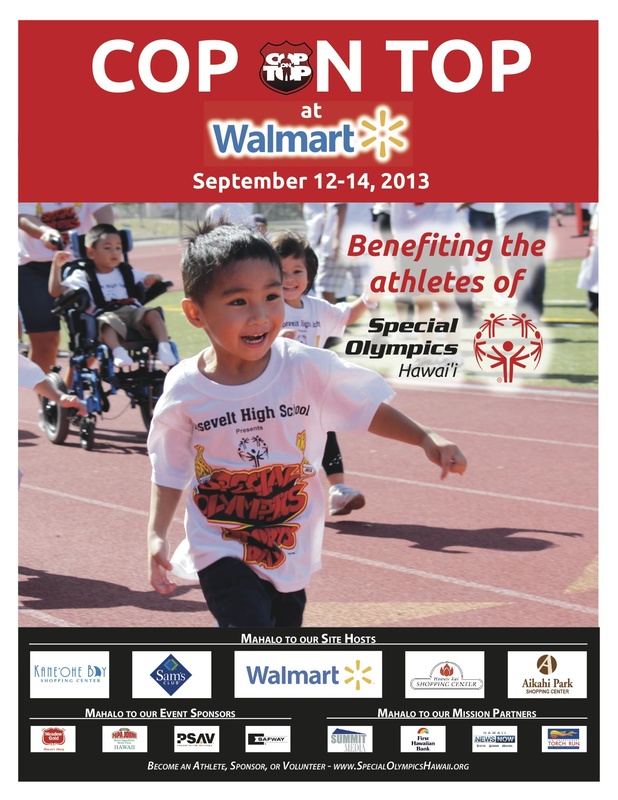 Special Olympics Hawaii is gearing up for their 12th annual Cop-On-Top fundraising event which will be held September 12-14, 2013. Federal, State, and City Law Enforcement Agencies will be volunteering their time to “sit on top” a 20-foot tall scaffolding at Sam’s Club Pearl City for 3 days! We are excited to be a part of this wonderful event. We will be popping fresh kettle corn on Saturday, September 14th, from 9am – 5pm, in front of Sam’s Club Pearl City. A portion of all purchases will be donated towards funds raised by the Cop on Top.